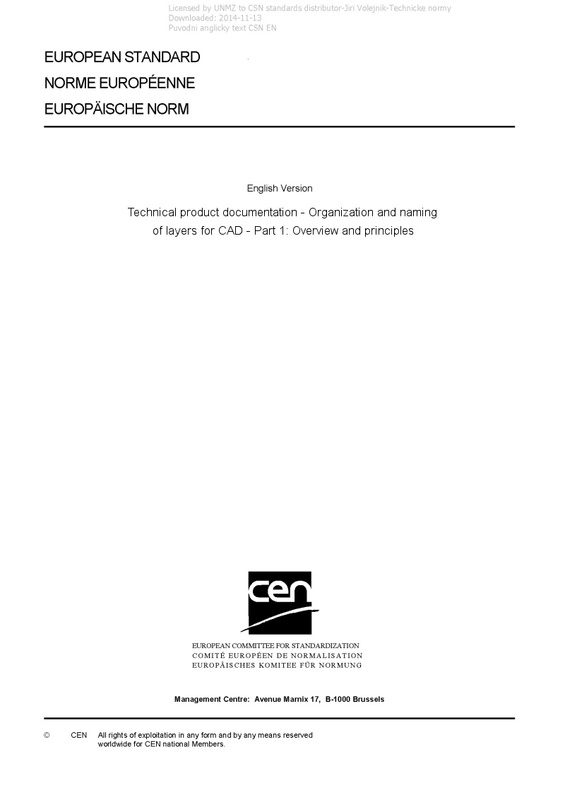 EN ISO 13567-1 Technical product documentation - Organization and naming of layers for CAD - Part 1: Overview and principles - ISO 13567-1:2017 establishes the general principles of layer structuring within CAD files. Layers are used to control visibility and to manage and communicate CAD file data. Layer names are used to represent this structure. The principles are applicable to all parties involved in preparing and using technical documentation on computer systems. Although these principles are primarily for users, CAD system developers are expected to provide software tools capable of implementing and supporting ISO 13567-1:2017. An important use is also to structure data in component libraries produced by third parties.